CEDAR FALLS, IOWA- Wow, wow and wow! Jackson’s International Auctioneers racked up another $1 million dollar in sales at their April 24th and 25th auction. The sale more than doubled the high pre-auction estimate posting sales of $1,063,000.00. The sale began with a small but interesting group of Native American items deaccessioned from the Washington Iowa Public library. The items were donated to the museum in 1964 by Mrs. Emily Powis Simpson-Atmore (1882-1968). They were believed to have possibly been collected by her late husband the Rev, William smith Simpson-Atmore (1863-1943). The first lot to sell was a Hopi Kachina doll depicting a Shalako Mana. It measured 13 inches in height and was dated to circa 1900. It was estimated at $3-$5,000 and ended up selling for $22,500.00. 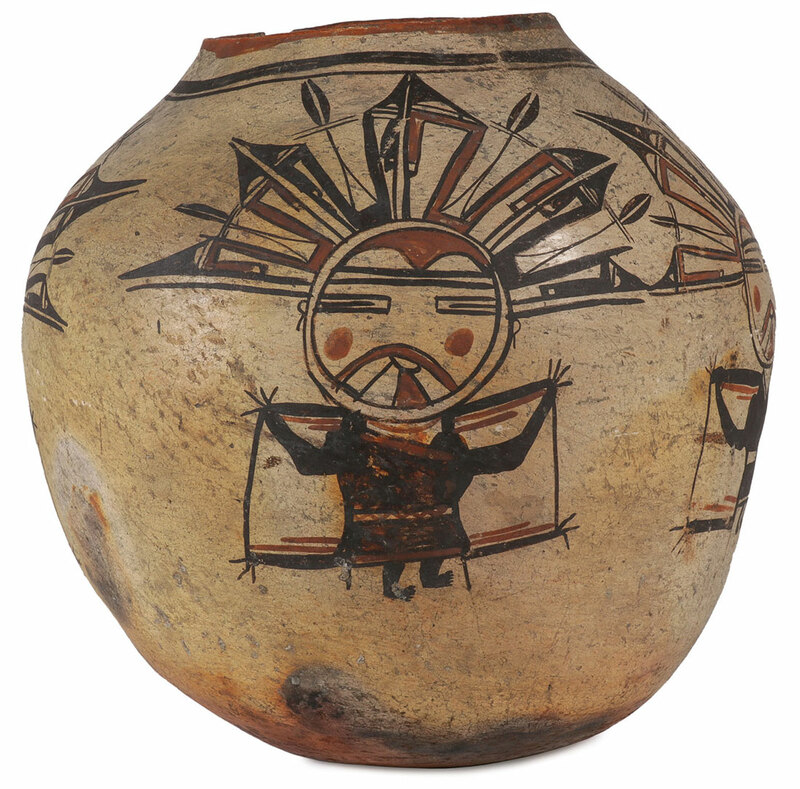 That was followed by an interesting Hopi polychrome jar decorated with Kachinas. Although exhibiting a rim chip and a few hairline cracks the jar opened at $10,000 and finished at an impressive $37,500.00. Asian arts attracted a great deal of interest especially for the many examples consigned by the estate of the Late William ‘Bill’ Egleston who collected and dealt in Chinese art long before it became the rage. A small group of nine Chinese carved jade items, the largest measuring seven inches, sold to a buyer in China for $40,000. That was followed by a group of three Chinese carved jade pendants, the largest measuring 3.25 inches, that also sold to a Chinese buyer for $15,000, and a 9 ½ inch gilt bronze Buddhist deity finished at $9,375.00. 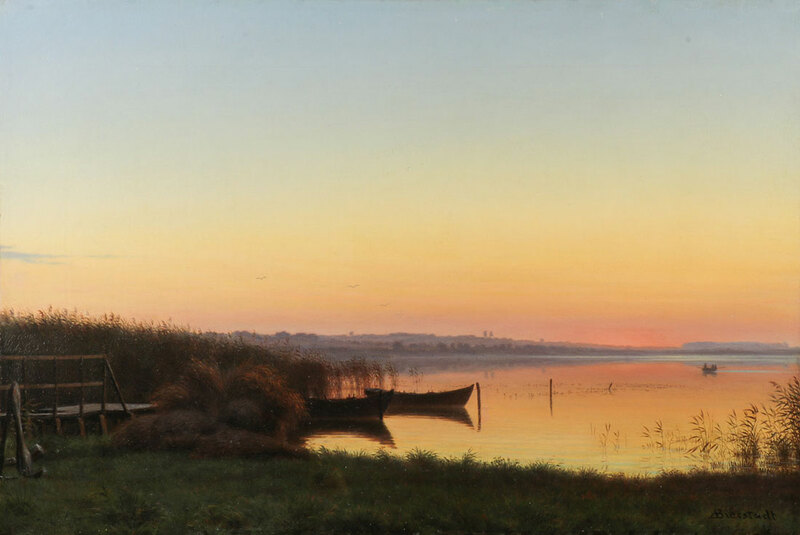 A lovely oil on canvas dusk landscape attributed to Albert Bierstadt sold for $131,250.00 and a late Marvin Cone modernist style painting made $27,500.00. 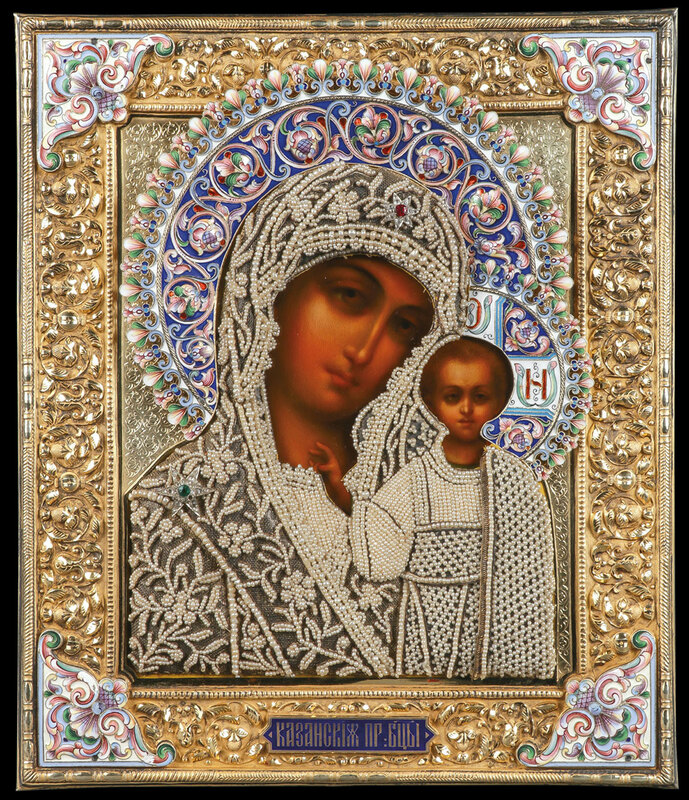 Two Russian icons of the mother of God sold to the same buyer in Moscow and totaled $58,750.00 and a Grachev bronze grouping did $11,875.00. Items consigned to upcoming auctions at Jackson’s International include more Asian works, Russian works and American and European paintings.